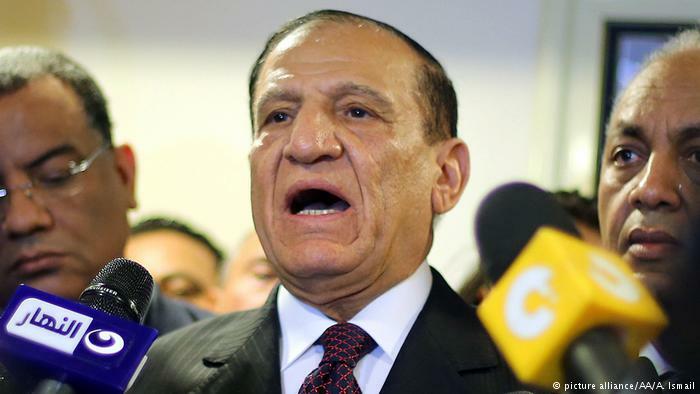 Former army chief of staff Sami Anan Tuesday cancelled his bid to challenge Abdelfattah al-Sisi in March election after the army arrested him over accusations that he failed to fulfill conditions to allow him to run. Anan, according to his campaign team, was detained after he was summoned and questioned by the army. Anan was the most senior tier of the army commandment from 2005 to 2011 under ousted Hosni Mubarak. He was retired in 2012 by democratically elected Islamist President Mohamed Morsi. Anan on Saturday unveiled his decision to run for the presidential race, one day after President al-Sisi made public his intention to run for a second term in office. “I call on civilian and military institutions to maintain neutrality towards everyone who had announced their intention to run and not take unconstitutional sides of a president who will leave his post in a few months,” he said in a video post on his facebook page. His arrest came a day after a senior member of the outlawed Muslim Brotherhood sent him an open letter, stressing conditions to support the former army general, London-based The New Arab reports. Youssef Nada, an exiled member of the organization on facebook indicated that the organization’s support for his candidacy is contingent on the release of Morsi who has been locked since 2013 following his removal by al-Sisi, the London-based media notes. Al-Sisi regime has banned the Muslim Brotherhood organization and arrested thousands of its members. Mahmoud Refaat, a lawyer and the spokesperson for Anan’s presidential campaign told Middle East Eye (MEE) that the army’s charges are ‘lies’ adding that Anan whose whereabouts are unknown is accused of corruption. “Isn’t it unusual that Sisi is accusing Anan of corruption just now?,” he asked, referring to the Egyptian incumbent president. Refaat told the media that he is concerned about Anan’s safety over threats to his life. “Sisi threatened three days ago that anyone who announces his candidacy and is charged with corruption will be killed,” he said. Several other contenders who announced their bids have already ruled out themselves. Ahmed Shafiq, Mubarak’s last Prime and former army general early this month bowed out before candidacy registration to begin on Saturday. Shafiq returned to Egypt in December from his exile in the United Arab Emirates (UAE) wherefrom he announced his plans to seek the country’s top job. He pulled out over smear campaign being prepared against him by the al-Sisi regime, reports say. 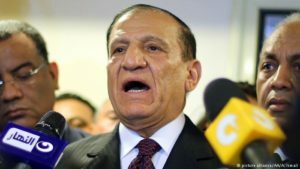 Last week, Mohamed Anwar Sadat, a nephew of late President of the same name, also scraped his bid to run saying that the climate was not propitious for free elections. A fourth figure, military Colonel Ahmed Konsowa received six-year prison sentence by a military court after he publicly revealed his plans to run. Written by: KanelkaTagba on January 24, 2018. Posted by KanelkaTagba on Jan 24 2018. Filed under Headlines, World News. You can follow any responses to this entry through the RSS 2.0. Both comments and pings are currently closed.